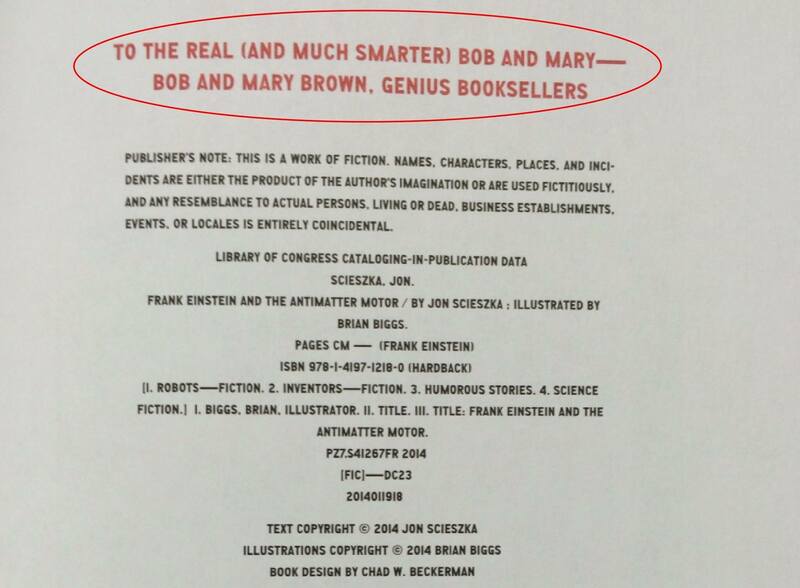 We are so thrilled and honored that Jon Scieszka has chosen to dedicate Frank Einstein and the Antimatter Motor to our own Bob and Mary Brown!!! This book is the first in Jon’s new series, “Frank Einstein“. Oh, and by the way, Frank’s parents’ names just happen to be Bob and Mary!